A shaker bottle looks like a regular drink bottle, but its primary purpose is to “shake up” your beverage or breakfast and mix it. It’s also supposed to keep your drink far colder than a traditional drink bottle. Most have internal whisking or mixing parts for blending powder and liquid, and also have a form of insulation and double walling too. The styles, sizes, and price tags all differ for every shaker bottle, and it’s up to you to highlight the features you want and need. Take the time to view these nine options below, then run through the considerations as well. 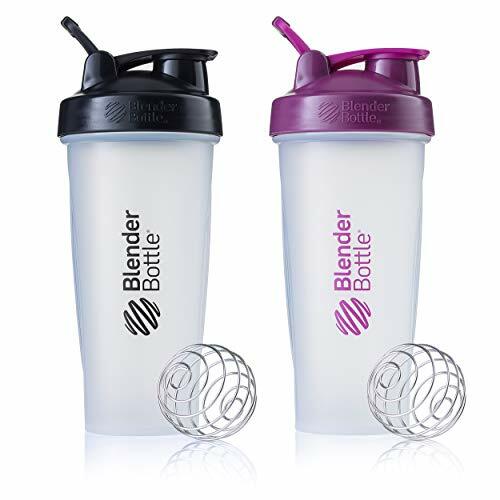 You can then be well on your way to buying the perfect shaker bottle for your needs. 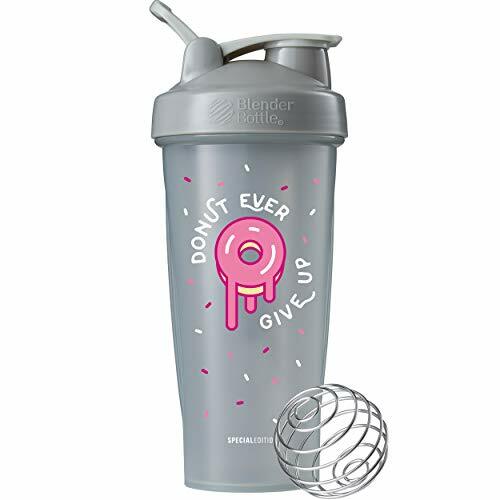 If you need a drink that offers a “get up and go” feeling in the morning, then it might be time to purchase this shaker bottle from BlenderBottle. Instead of using a standard drink bottle, you can enjoy a fresh, cold beverage first thing in the morning to offer that much-needed lift. This bottle is leagues ahead of a standard drinking vessel for many reasons. Firstly, it features stainless steel construction. As a result, it’s going to keep your drink far fresher than a regular plastic one would. However, some people noticed rust in the bottom, which might have you questioning the materials. It also has a lot of space – 26 ounces – for your drink, double walling for freshness, and vacuum insulation to keep your beverage as cold as possible for as long as you need. It then features a leak-proof, twist-on cap with center-mounted spout seals. This affordable bottle is one that you need to wash by hand, which can be tough since it’s so tall, but you can put the cap in the dishwasher with no problems. It’s by no means the best on the market and has some flaws, but it’s an excellent way to start your day on the right foot nonetheless. If you’re ready to upgrade your shaker bottle to something spectacular that will ensure you get the best-blended smoothie in the morning, then check out this option from Ello. As a Splendid model, it’s available in mint, coral, gray, and denim, and features a mixture of glass and silicone. It releases no odors, retains no stains, and has a non-slip grip so your tired hands will have no problems holding onto it. That’s not all to appreciate about this shaker bottle either. Even if you put it into your handbag – which you can do thanks to its compact 20-ounce size – the lid won’t leak. It’s leak-proof and will offer that much-needed peace of mind. Once you finish your drink, you can also put it in the dishwasher and leave all the hard work to the machine. The shaker components are not quite as good as others on the market, but that’s not to say they are not any good. The shaker ball features silicone so, when you shake it, it doesn’t make any noise. However, it’s too big for most people. Therefore, it retains a lot of the liquid and powder and wastes it. That point aside, this affordable and stylish bottle could be the answer to getting you up and underway in the morning. A common problem that people have with their shaker bottle is that it doesn’t keep their drink cold for long enough. If you would prefer your smoothie would remain cold until you were ready for it, then check out this shaker bottle from Ice Shaker. During a lot of tests, the manufacturers found that it could keep ice in ice form for over 30 hours. If that doesn’t offer peace of mind, nothing will. What’s more, there is a lot of variety on offer when you choose this shaker bottle. You get a 16 or 26-ounce bottle then get to select one of seven colors. It doesn’t get a lot better than that. This bottle also comes with double walls, vacuum insulation, and an agitator to shake your smoothie up which you can then remove. Once you seal it, it also won’t leak until you need to use it again. It’s odor-free, sweat-proof, and has a pop-top that won’t leak either. In essence, this bottle is everything you need it to be and more. However, it has a few things that may put you off. The logo comes off as a sticky residue, and the seal perishes long before its time. It’s also more expensive than other bottles like it on the market, so you will need to weigh up the pros and cons before going ahead with your purchase. This shaker bottle from InstaShaker is excellent in theory, but when it comes to the crunch, it lets a lot of people down. When you look at it without trying it, it’s clear to see it’s a good idea. After all, imagine not having to tire your arm out shaking up your protein shake? This shaker bottle does all the work. It uses a 16,000 RPM motor with a rechargeable lithium-ion battery to shake your powders and liquids for you. It’s also of a generous size – 20 ounces – and comes with a powder storage compartment too. However, it lets many people down with its durability. Within a few weeks, several people notice that the battery doesn’t hold a charge, which can be inconvenient. The plastic also cracks for no reason at all. That’s not to say you will have that bad luck. If you buy this InstaShaker Vortex model shaker bottle, it’s bound to bring a smile to your face. It’s BPA-free, shakes your smoothie up in 30 seconds, and won’t leak out the lid either. You also don’t need a whisk ball which is one thing less to wash. What’s more, washing is a breeze. Add a bit of water with some dishwashing liquid then set it spinning. In seconds, it’s clean. Once the manufacturers iron out the kinks, this shaker bottle will be one that’s well worth getting your hands on. If you know that you’re not gentle with your shaker bottle, then buying one can be quite a challenge. You need one that can handle wear and tear and won’t break as a result. This shaker bottle from Slimerence might be the ticket. You can buy it in black, rose gold, and grind red, then enjoy the 304 stainless steel construction which will prove itself worthy time and time again. It’s thick, robust, won’t retain any odors, and can handle a dishwasher cycle too. However, washing it in the dishwasher can ruin the seal and deem the leak-proof lid redundant. That point aside, there is still plenty to love about this 28-ounce bottle. Its handle is non-slip, it has an anti-fouling varnish, and you can use it with hot and cold drinks. 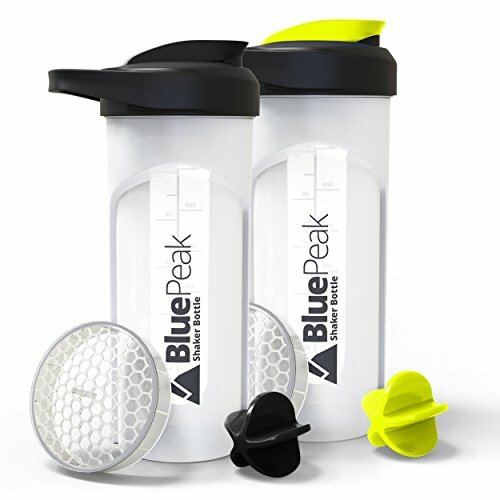 Most shaker bottles on the market only let you use them with cold drinks. Sealing the deal is the competitive price tag which will see you replacing your old bottle with this one in no time. For many years, Thermos has been a reputable brand, and when it comes to a shaker bottle of the same brand, it’s no different. When you buy this product, you can expect it to do as you wish it to and last the distance. 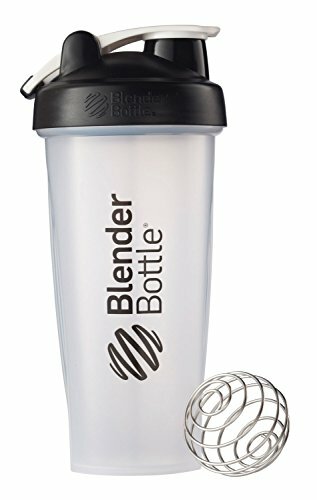 It holds 24 ounces of fluid, has a capacity marking for helping you measure out your protein powder, and you can also remove the stationary mixer that sits within it too. What’s more, the stainless steel construction coupled with vacuum insulation technology means your drink is going to remain cool for at least 16 hours – if not longer. 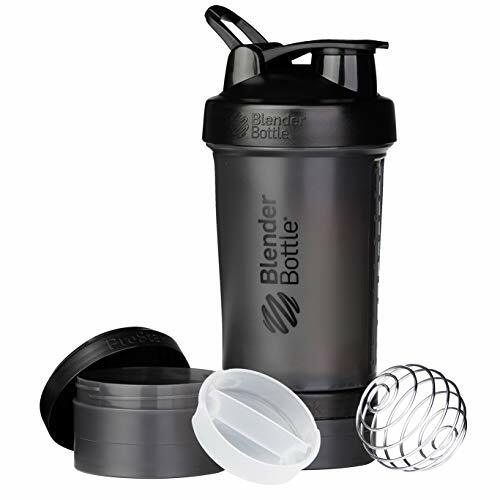 The carrying loop will come in handy for taking this shaker bottle to the gym, while the flip-up lid is one of the more sterile lid styles available. There’s a lot to love about this Thermos shaker bottle. What people – and businesses – may like too, is that you can buy these bottles in bulk. They might be more expensive than others, but their durability and quality can see them lasting far longer than other models on the market too. They are well worth a closer look. If you don’t want to mess around with an inferior quality shaker bottle that doesn’t meet the mark, then why not upgrade to this high-quality one from CRSURE? Even though you pay more for it than others, it’s still an affordable option given how many features it has to offer. When you buy it, you choose from two colors – pink or gray. Both options are leak-proof, feature no BPA or nasty toxins, and have a charging function. Who would have thought you could charge your mobile phone from your shaker bottle? Now you can. This bottle also has a safe sensor, uses its battery power to run the stainless-steel blades, and has a hygienic and comfortable flip cap too. The batteries mean the blades don’t run all that powerfully, but when you compare it to other options on the market, it’s going to make a lot of people quite happy. As long as you don’t rely on a carry handle, and you don’t mind a strong odor from time to time, then there are several reasons why this shaker bottle could be at the top of your wish list. Of course, these two negative points might put a lot of people off, but the standout features could change your mind. 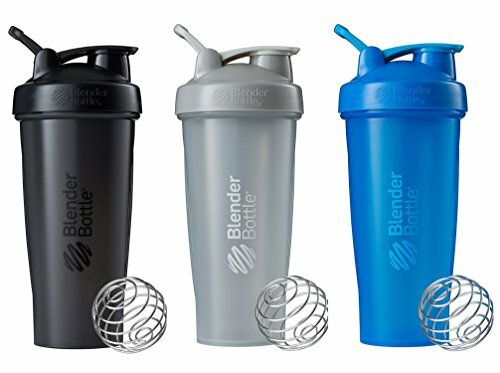 This Radian model of glass shaker bottle from BlenderBottle is available in four lovely and vibrant colors which can help you to stand out from the crowd. It’s also available in a 28-ounce capacity which leaves plenty of room for your powder and liquid. Once both are safely inside, the surgical-grade stainless-steel BlenderBall whisk then gets to work smoothing and mixing your beverage until it’s ready to drink. Thanks to the silicone sleeve, it’s comfortable to hold, and the screw-on lid makes it leakproof too. It’s affordable, ideal for several situations, and may be an excellent option when you’re in the market for a new shaker bottle. If you prefer a stainless-steel shaker bottle over other options on the market, then this unit from Contigo could be at the top of your wishlist. Even though it’s a bit more expensive than other models, it’s worth every penny. 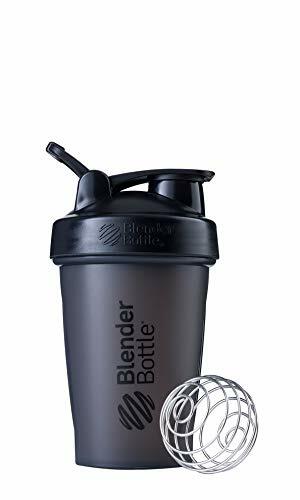 It holds 24 ounces of fluid, features stainless steel throughout the whole shaker bottle, and even has ThermaLock vacuum insulation. The addition of this feature means it will keep your drink cold for as long as 12 hours. The screw-top lid stops it from leaking, while the sleek design makes it stand out as well as being comfortable to hold. Even though the lid’s smooth plastic means it’s hard to open, it’s a small price to pay in the grand scheme of things. If anything’s going to let it down, it’s the mixing component and the maintenance. You have to wash this shaker bottle by hand, and given how narrow it is, that can be hard. The mixer on the inside also doesn’t do all that good of a job in separating and mixing in the powder. If you can get past this, you will see this shaker bottle is worth adding to your shopping cart. Everyone buys shaker bottles for different reasons. Some people like to have breakfast on the run, but find a standard drink bottle doesn’t allow you to do so. Other people want a functional vessel that will be ideal for taking to the gym. For most people, however, something that can keep your drink cold for hours on end is quite a desirable product, which is why they choose a shaker bottle over a standard one. If such a product is something you have been thinking about buying for some time, then pay attention to the following considerations. They can help you to buy the best one for your needs. When you start looking for a new shaker bottle, the first thing you should do is consider all the beverages it will need to hold. Do you usually only have a cold drink or smoothie? Or, do you sometimes like hot chocolate or coffee and would prefer only to have one cup instead of two? Many shaker bottles on the market are only suitable for cold drinks, but if you dig a little, you can find multipurpose ones too. A shaker bottle has to have something to shake up your drink, and what that piece is can depend on the manufacturer. Some have a silicone ball which is quiet, while others have a metal or plastic whisk to separate protein powders and mix them into the fluid. Then, some shaker bottles get a little bit more advanced and run on batteries with motors to shake the drink automatically. Several different materials make up a shaker bottle. The most common one is stainless steel, but some also have silicone, plastic, and glass. Finally, factor in how much you usually drink. 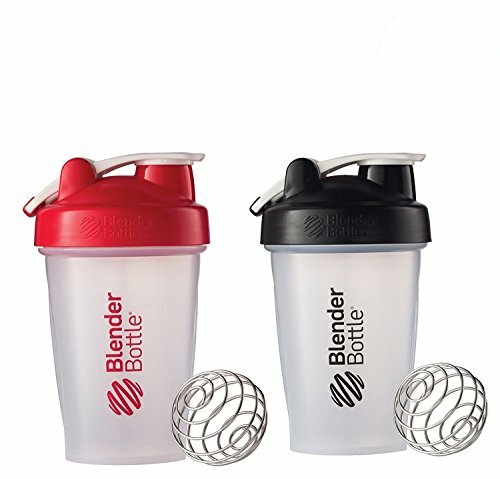 Most shaker bottles are available in 26 and 28 ounces, but some are smaller or larger. 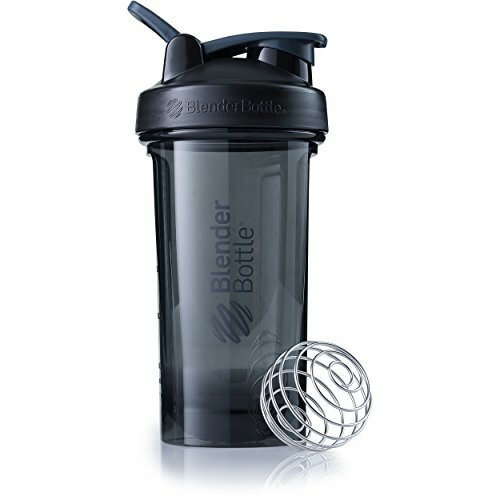 The best shaker bottle is one that accommodates powder as well as a full cup or two of liquid to mix into it.